Happy Digital Scrapbooking Day weekend everyone! Anyone who’s been around digi land for awhile knows that as much fun as these big scrapbooking holidays can be, they can also be a bit crazy and overwhelming! From Jen: PATIENCE is the key to surviving DSD. There are awesome sales and events going on, and you cannot do everything. At the beginning of the weekend, make a list of sales you want to check out and events you want to participate in, and work from there. Don’t buy anything immediately- make a list and come back after you look at all the sales to make sure you truly want everything and not just because it’s on sale. Most of all- HAVE FUN! From Natalie: Play the games you really want to win. There are so many games all around the sites that you will become totally overwhelmed and frustrated if you try to play them all. From Heather: It’s very easy to get overwhelmed. Lots of kits that you like but have not decided to purchase throughout the year all become possibilities to take home with you during a storewide sale. Try to purchase kits that you have already on your wishlist, kits that you can still remember off the top of your head even if it debuted months ago, kits that you have a solid idea or two on how you could use them with photos that you have, and of course any new items that your favorite designers have created for the occasion that jump out at you. This is also a great time to be a little adventurous and try out a kit from a new to you designer. Who knows? A kit purchase during this weekend could lead you to a new favorite place to shop. Breathe and pace yourself. Start with your absolute must have purchases first and work your way along. Your budget may tell you that you can’t have everything this November and the items on the bottom of your list may need to wait for later. And make some time to scrap! No point in getting all of the fun new items for our stashes if we don’t use them! From Sherly: Try to download goodies you buy AFTER the DSD weekend to avoid slow traffic! 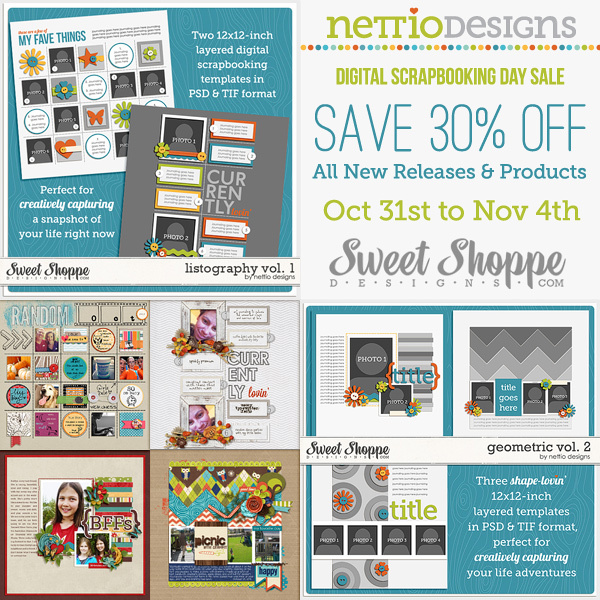 A little reminder, the Sweet Shoppe Designs DSD 30% off sale continues thru Sunday so there’s still plenty of time to pick up your favorite Nettio Designs products and save a little cash. 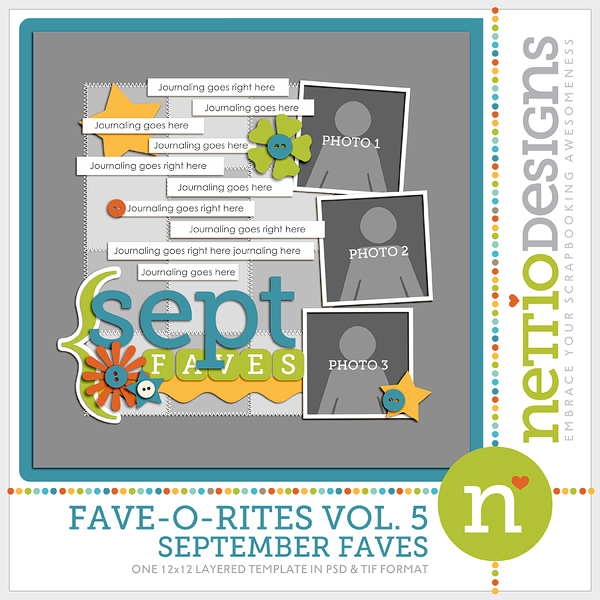 And if you’d like a chance to pick up your favorite Nettio Designs products for FREE, Team Awesome is hosting a “Scrap Your Faves & Win!” game over at Sweet Shoppe Designs where you can win $10 to my shoppe! Based on the number of entries we’ve received so far I’d say your chances are pretty good at winning, haha, so if you’ve got an urge to scrap and are a fan of the Faves, go check it out! Also be sure to stop by tomorrow when I’ll be offering a little goodie as part of our Sweet Shoppe Designs DSD exclusive collab! 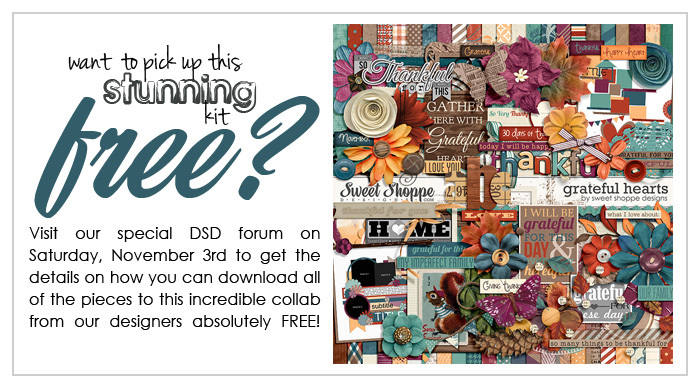 Share Your DSD Survival Tips & Win! 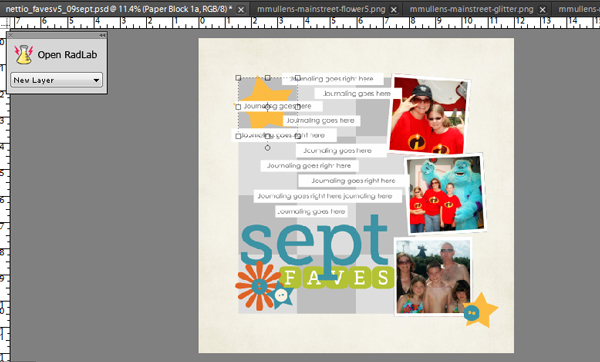 Ok, here we go, we’ve shared our favorite tips for surviving Digital Scrapbooking Day so now it’s your turn to share yours! 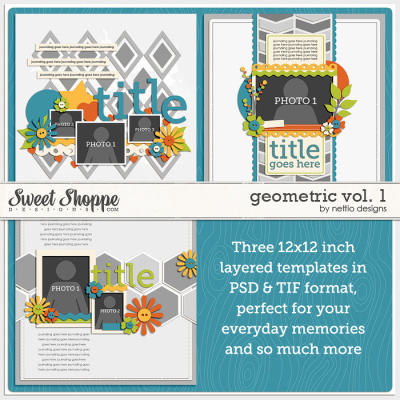 Just leave a comment below with your top tip for surviving Digital Scrapbooking Day along with a link to your favorite Nettio Designs product from my Sweet Shoppe store and tomorrow I’ll choose a lucky winner or two to win their fave product! Super easy, right? Only one entry per person please and entries must be posted by 8am ET Saturday Nov 3rd to be eligible to win. I can’t wait to see your tips and happy DSD everyone! 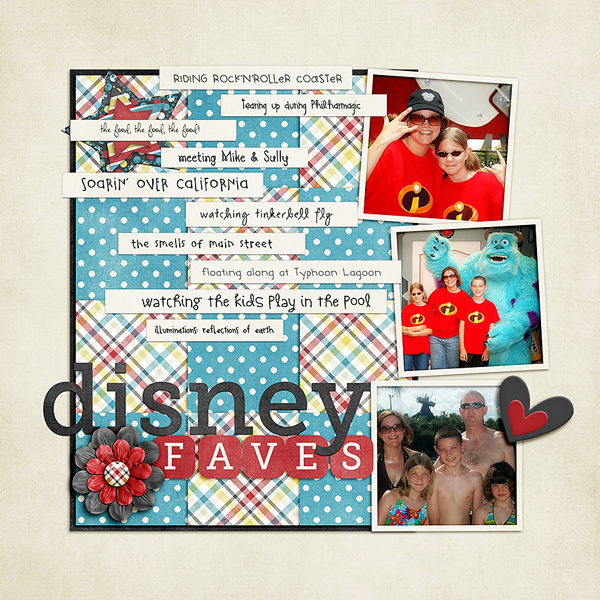 Hello, hello and welcome to another installment of Tips from Team Awesome where the lovely ladies from my Creative Team share their most awesome scrapbooking tips and tricks. 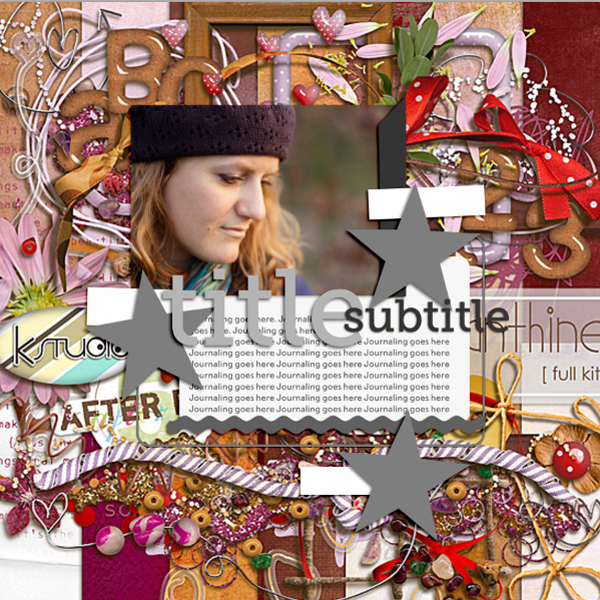 In today’s post, Inga is sharing a rather ingenious tip for how she chooses a kit to match her chosen template and photos. Take it away, Inga! 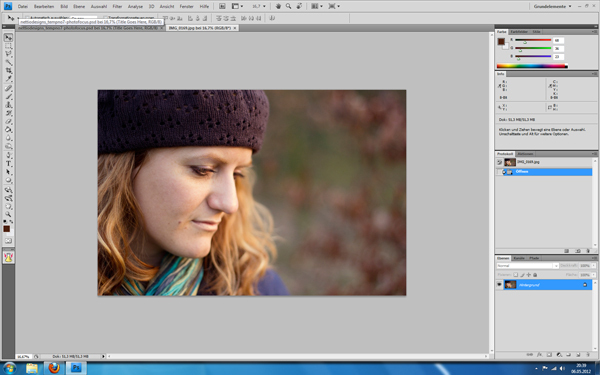 Today I’m going to share my little trick, how I check which kits go well with my images. 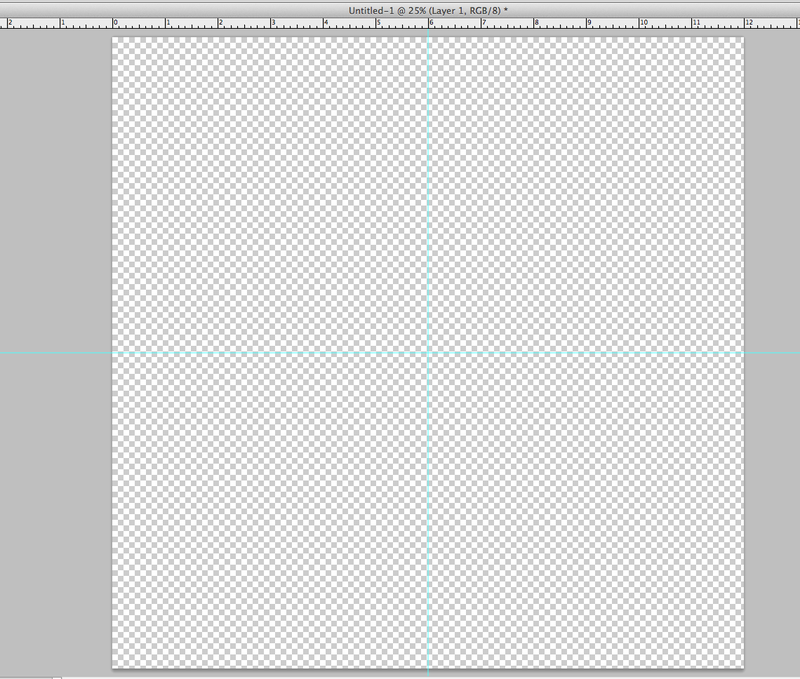 I am a big template scrapper. So I usually pick my photos and a matching template first. In this case I had a relatively new portrait of my beautiful sister Maria. 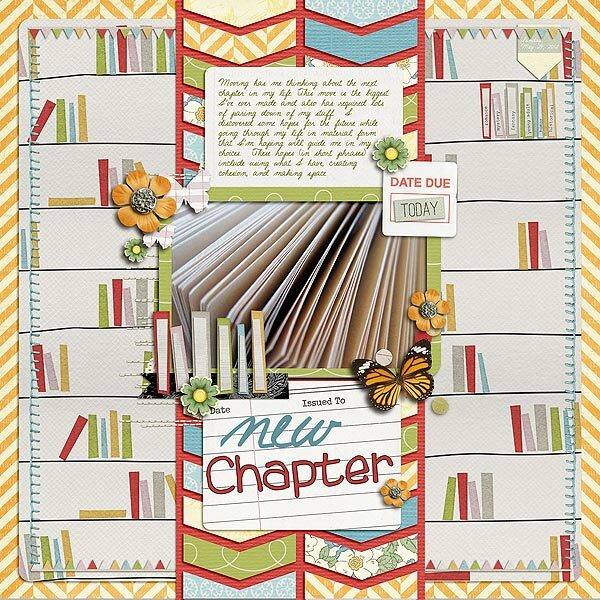 I also knew, I wanted to use a template from Lynnette’s newest re-release, Paper-tastic Vol. 2 (check it out here). I opened them both in Photoshop. 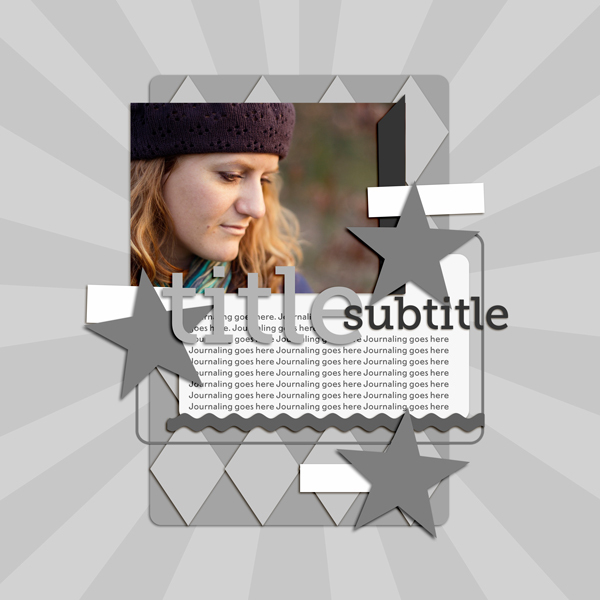 Then I put my photo in there and clipped it to the photo layer. I re-arranged the title elements and some embellishments to fit my needs better and show more of the image. But now came the difficult part: Which kit should I use? I have a pretty stash to choose from. The portrait was one I took over the Easter weekend. Using the first mild days with beautiful weather and golden light. A spring kit from the wonderful Kristin Cronin-Barrow came to mind. On the other hand her darker hat and the colours also reminded me of an autumn picture. 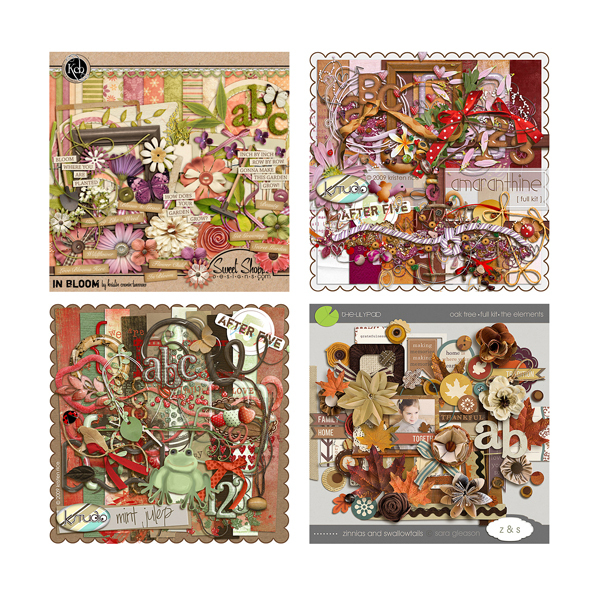 I LOVE autumn kits and wouldn’t mind scrapping it with them. Those were practice portrait shots and not meant to capture a certain day. I narrowed it down to three additional kits, I could see me using here. What to do? Whenever I am in a situation like that, my method is to do a quick check of all options. Here’s how. 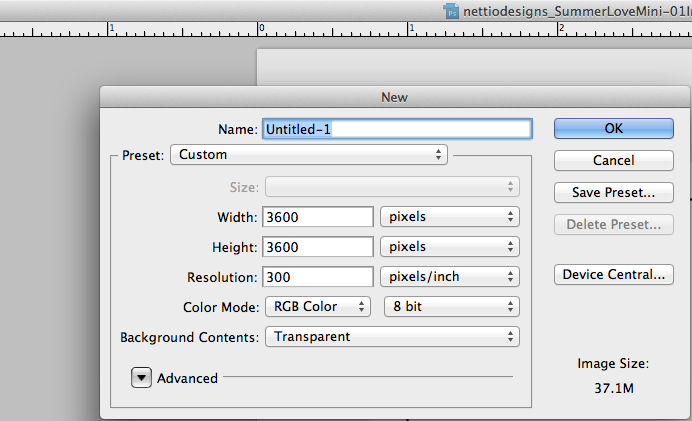 I simply drag all previews onto my template canvas. Yep, those tiny 600×600 pixels images. As you can see, they are pretty small. So, I blew them them up by using transformation. When you do that, they will look incredible pixelated. Don’t worry, as soon as you confirm the transformation PS will adapt them. Mind you, they would look horrible now, if you zoomed in to 100%. But luckily you don’t need to do that. You just need a quick glance. As you can see, I didn’t put them in right under the photo layer. 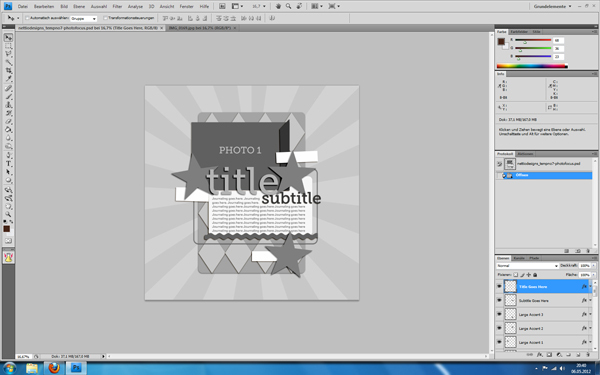 I left the journal mat visible over them, so my photo doesn’t get lost completely in the preview. 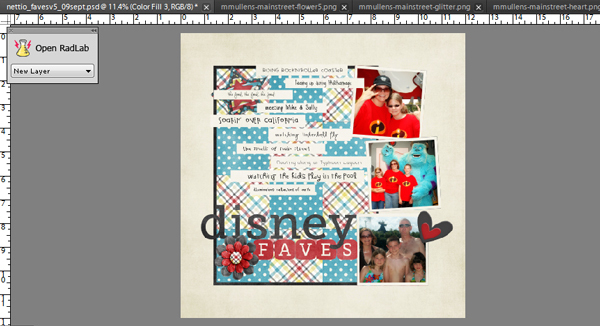 I usually look for a few layers between the previews and the photos. Sometimes it’s already enough to leave the photo frames visible. Also, in this case I used the older completely grey version of this template. With coloured elements, I either turn them invisible, into grey shades or I just ignore the fact that their colours might throw me off a little bit. Now I turned the different preview layers visible/invisible as I went along and checked the overall look with each of them. Hey, my initial idea with the spring kit looked great! This would have worked perfectly as well. This one? Not so much. An easy elimination. I usually click through them back and forth, comparing how I feel about each kit. Very often I find a photo/kit combination that just clicks for me! That will give me exactly the look or atmosphere I envisioned. I also use this method, to check if bolder kit choices will work or not. So there you go, a quick and easy way to test your kits with your photos! I hope, you’ll find it useful. Awesome tip, Inga! So smart! If you have a comment or question for Inga about this tip or anything else, feel free to leave a comment in the comments section of this post. 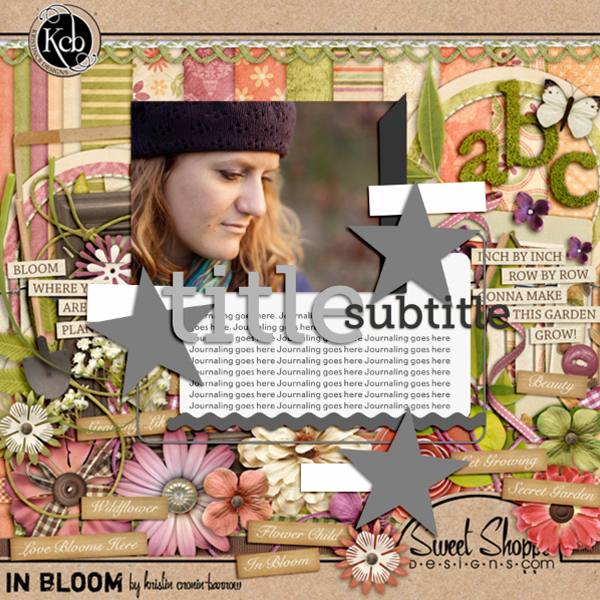 Kits included in this post are: In Bloom by Kristin Cronin-Barrow, Oak Tree by Sara Gleason and Mint Julep and Amaranthine, both by K Studio. 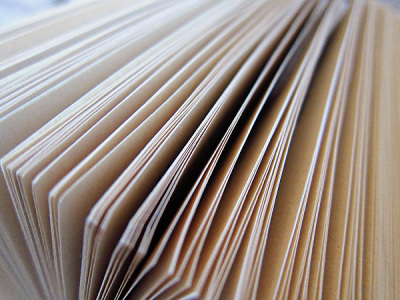 Want to pick up the Paper-tastic Vol. 2 template featured in this post? 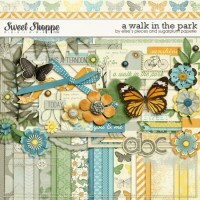 You can find it here at Sweet Shoppe Designs. 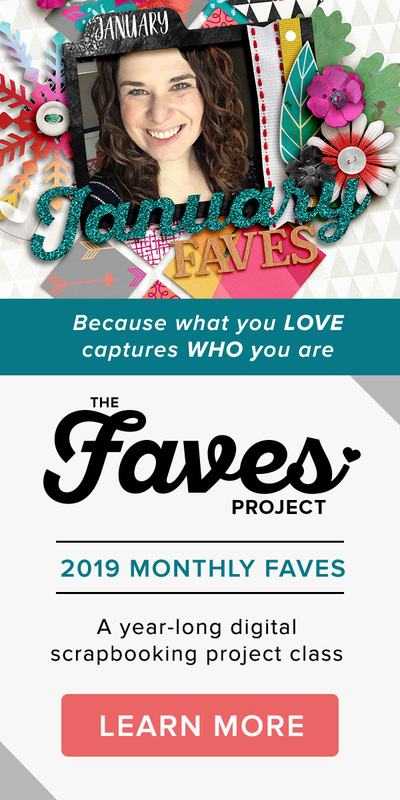 Hello, hello and welcome to another installment of Tips from Team Awesome where the lovely ladies from my awesome Creative Team share their favorite scrapbooking tips and tricks. 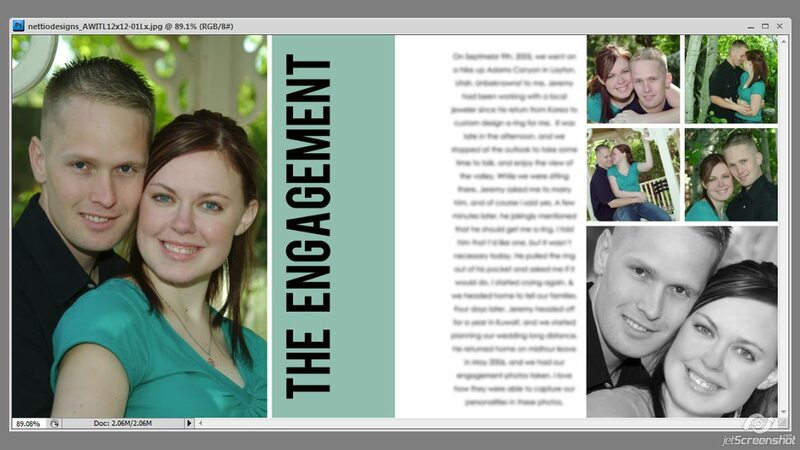 In today’s post, Jen shares how she used the Photo Book Frenzy templates to design her wedding album. Enjoy! 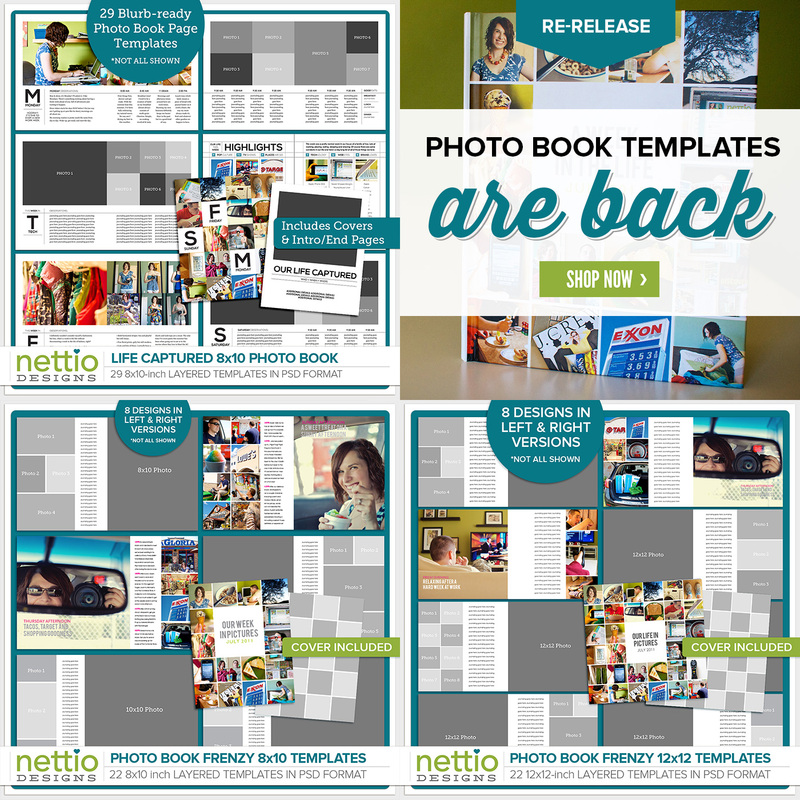 Hey Everyone, I’m back again to share some thoughts with you on how to use Lynnette’s awesome A Week In The Life and Photo Book Frenzy templates for a completely different project. 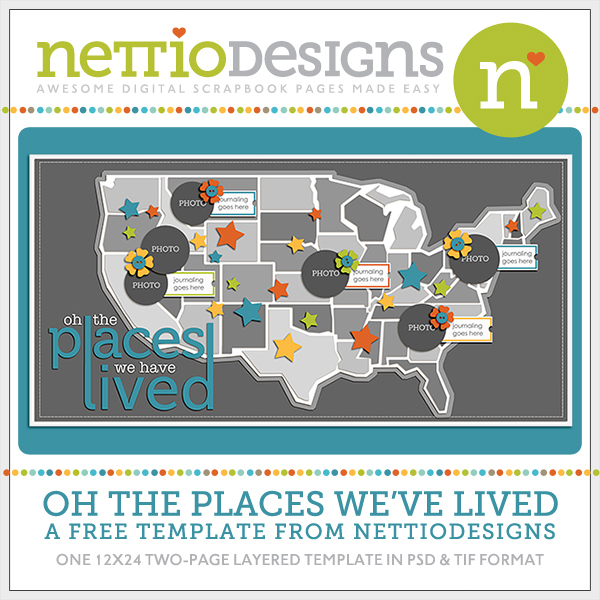 When Lynnette first released these templates, I was in love, but I had no idea what I wanted to use them for. 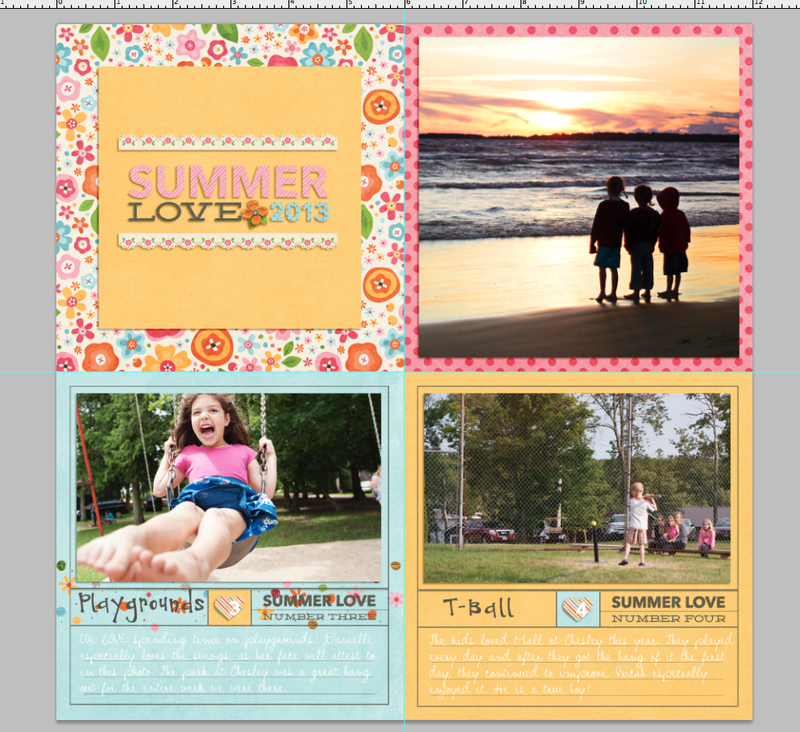 I’ve never done A Week In The Life, and these templates were just begging for an awesome project. Then inspiration struck: my wedding album. 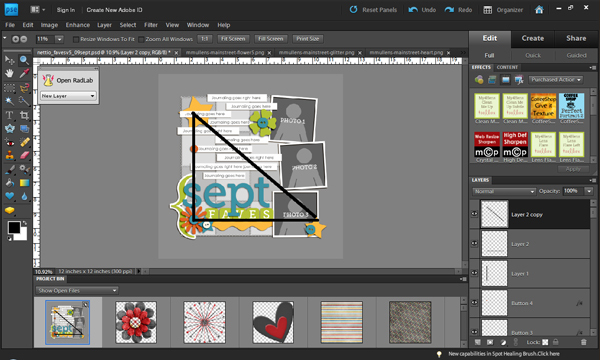 When I first started scrapping 4.5 years ago, the first real project I did was scrap my wedding album. It had been a great learning experience, but I almost immediately regretted how I had scrapped it, but I had no idea how I wanted to change it. Originally, the focus had ended up being on the kits and templates I used, rather than on the photos and story. This was my chance to redo my wedding album in a cohesive design that focused on the photos and story- and I was crazy enough to see just how fast I could do it. I decided to start at the beginning of our wedding story- our engagement- and to work through the templates in order, roughly. The first thing I did was pick photos. Because I’ve been married 5 years now, and digital cameras back then were nowhere near as nice as they are now, I couldn’t blow my photos up to 12×12 without losing a lot of focus. 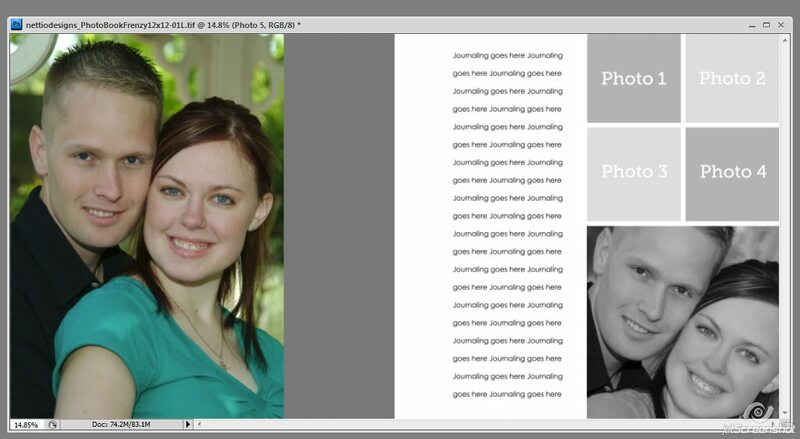 I also wanted to designate a place on each page for the title, rather than write on my photos. So I decided to just split the large 12×12 photo, depending on how the main photo(s) for the page fell, and use the remainder of the box for the title. After some very scientific testing, I can tell you that the space between photo boxes can be matched with a square eraser set at 44 px. I divided the box as needed, then filled it with a color pulled from my main photo. 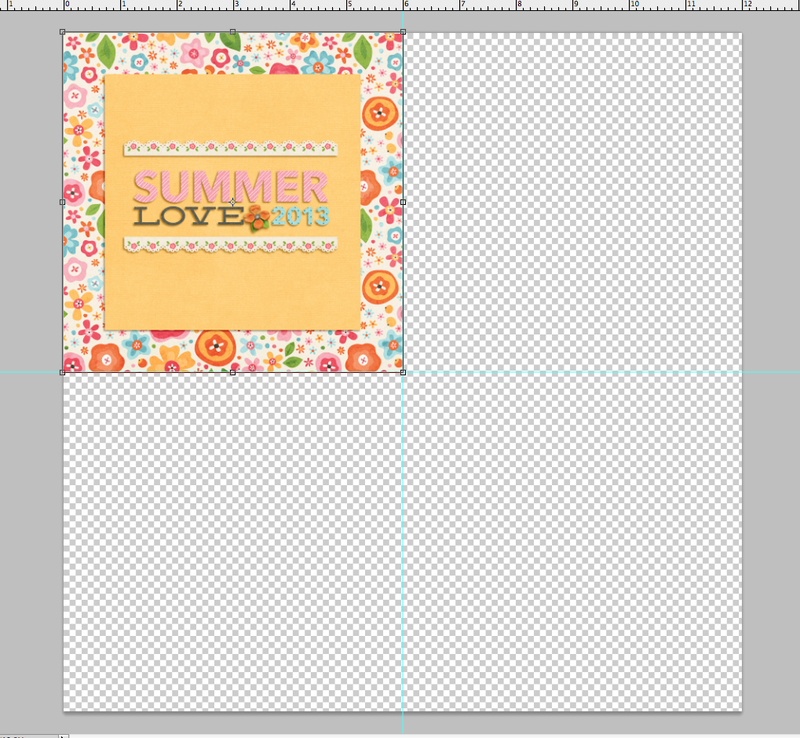 After that, it was simply a matter of titling the layout, and adding my journaling. I made sure to stay away from the center to allow for a binding when I print. 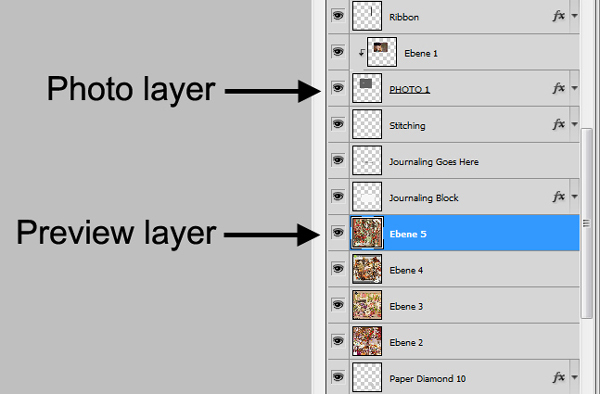 I’ll double check all my bleed settings before I print, so make sure to take that into effect when you plan your layouts as well. I edited the templates as needed for each story, and it was so quick to do. 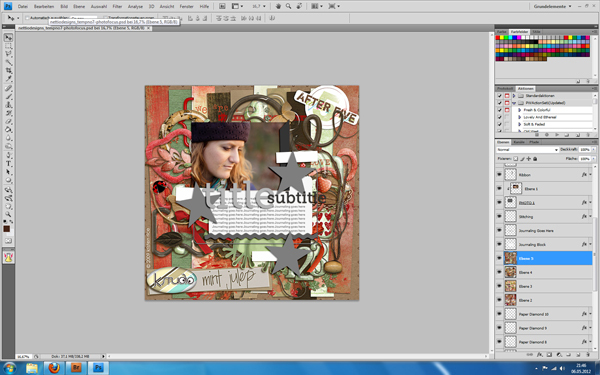 The only part of my album that ended up being completely created by me was the title page and last page in the album. I matched the style of the rest of the album in order to tell our story completely. In just over 36 hrs, I was able to scrap our entire wedding, and have that story finally told the way I wanted it. It has been nearly two months since I finished scrapping this, and I love the album just as much as the day I did it. I can’t wait to print it later this year, and to be able to see our story in print format on our anniversary this year. This is such a versatile album and I’m planning on using it for many projects to come. I hope that you can see just how versatile this album is. 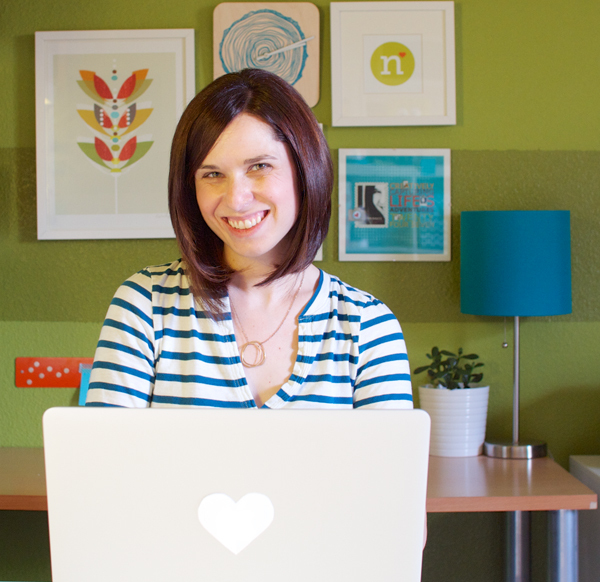 Even if you don’t do A Week In The Life, it’s so easy to use these templates for any project. 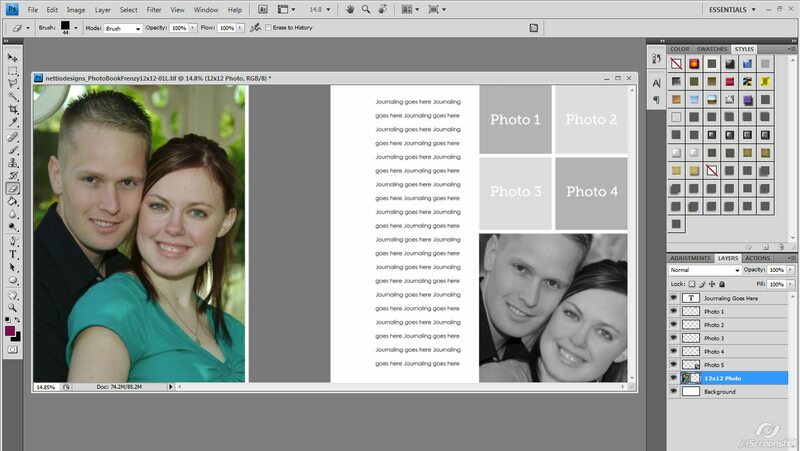 Family vacations, December Daily, Pregnancy Albums, Baby’s First Year, Our House, Our Town- any project you can think of, this set of templates can work for it. Don’t be afraid to let your imagination take on these templates. Have fun with them, and enjoy telling your story with this template set. Thanks so much Jen! If you have any questions or comments for Jen, be sure to leave them in the comments section. 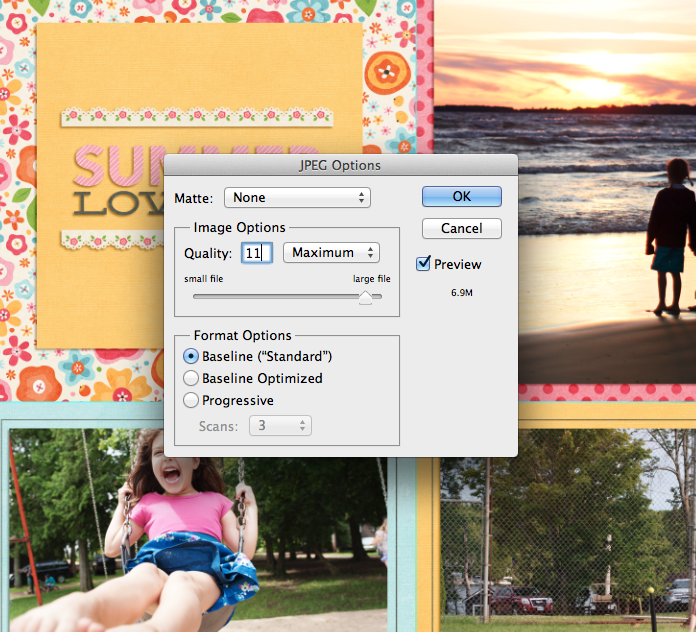 Psst…Want to make your own awesome photo frenzy album? 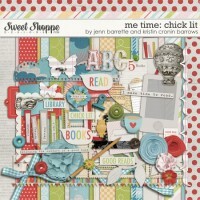 Pick up the Photo Book Frenzy templates here at Sweet Shoppe Designs.